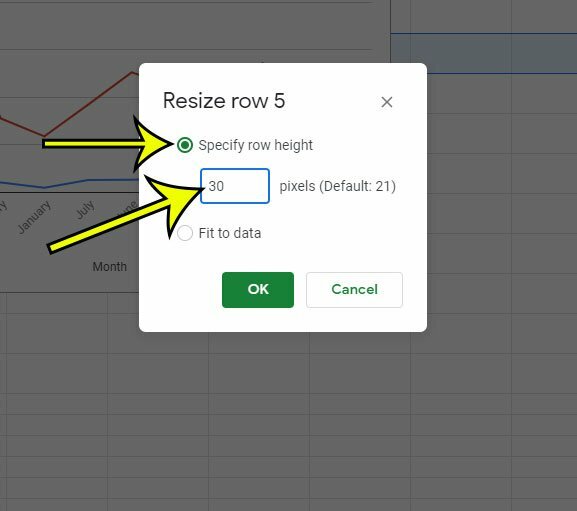 The rows in your Google Sheets spreadsheet have a height of 21 pixels by default. This is meant to fit a single line of text at the default font size. 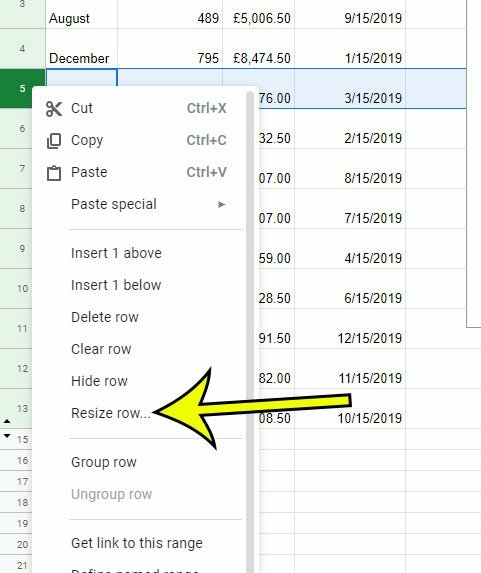 But you may find that this row height is too small, or your spreadsheet needs require the height of your rows to be either smaller or larger than they currently are. Our guide below will show you how to enter your own custom row size for a row that you select. Step 1: Open your Google Sheets file from your Google Drive at https://drive.google.com. Step 2: Select the row at the left side of the window for which you wish to change the row height. Step 3: Right-click the selected row, then select the Resize row option. Step 4: Choose the Specify row height option, then enter the desired height into the field. You can click OK at the bottom of the window when you’re done. Note that you can change the height of multiple rows by selecting more than one in step 2. If you hold down the Ctrl key on your keyboard you can click each row that you want to resize. Is there a column of data in your spreadsheet that you don’t want to display? 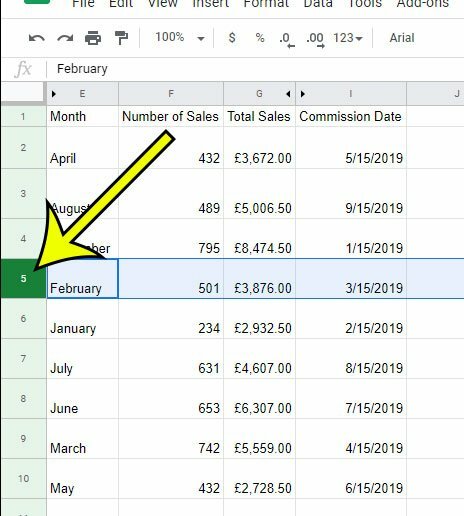 Find out how to hide a column in Google Sheets so that viewers don’t see it, but it’s still a part of the file.